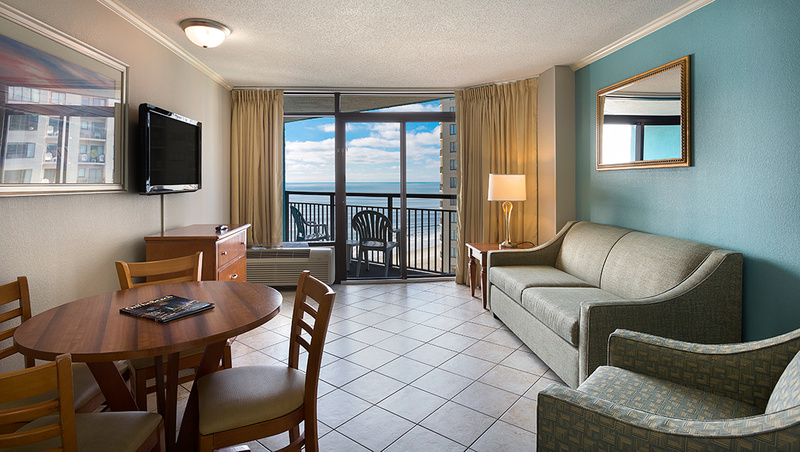 The Angle Oceanfront Executive King Suite has a unique layout that many enjoy with plenty of room to relax and spread out. 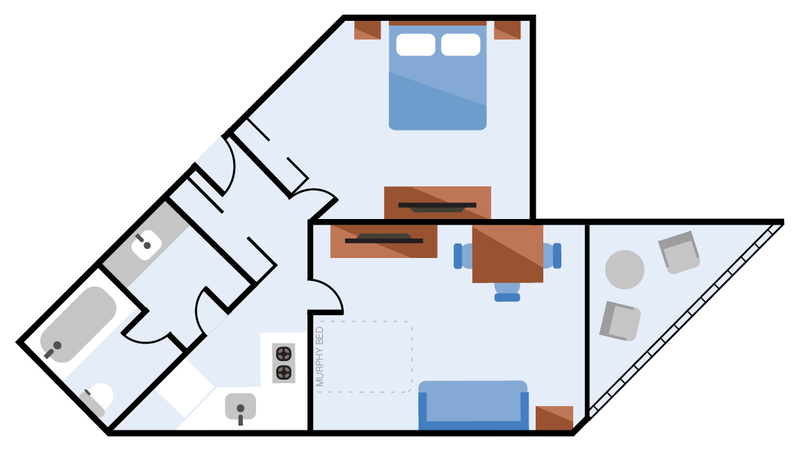 This suite is great for couples looking for extra space as well as for families with children because it offers a living room, bedroom and kitchen. 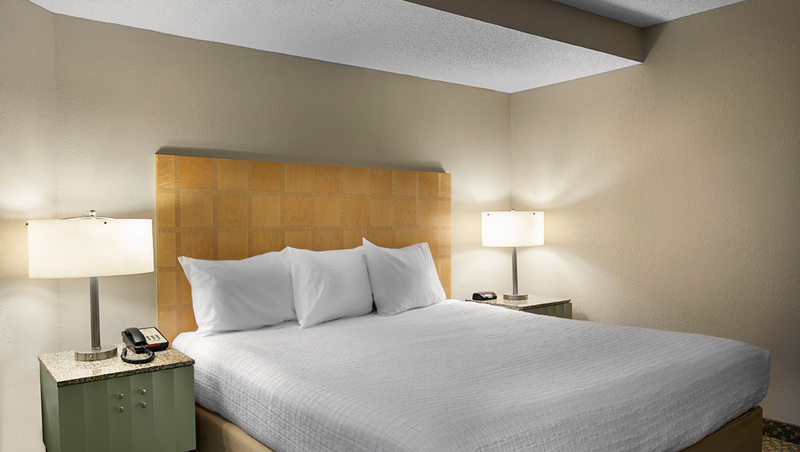 The entire suite can accommodate up to four people. The bedroom in this suite features a king size bed, a window, and a TV while the living room offers comfortable extra sleeping space with a double fold out double wall bed as well as a second TV, sofa, dining table with chairs and a side view private balcony. 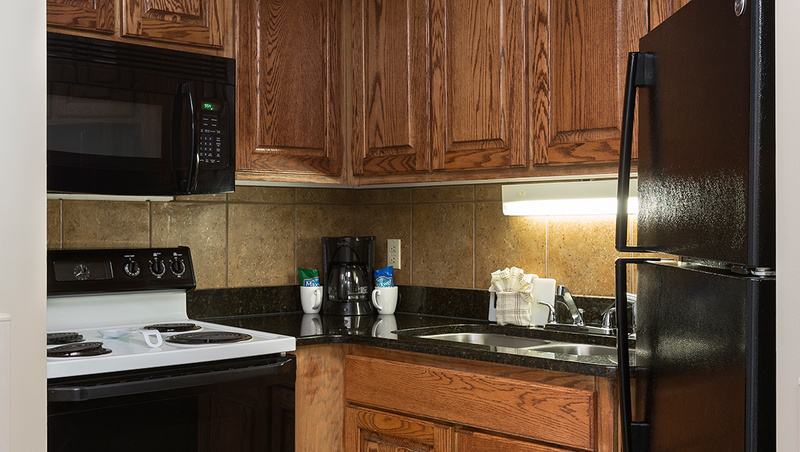 Additional suite features include a fully equipped kitchen with refrigerator, stove, and basic cookware/dinnerware, complimentary in-room coffee, hairdryers, in-room safe and free wireless internet.